A friend of mine refuses to accept that white chocolate is chocolate. She also refuses to eat it because of its ambiguity, the fact that it masquerades as something that it isn’t. This is fine, it’s her choice (actually it’s rather advantageous to me, more white chocolate consumption on my part), but she is definitely missing out. 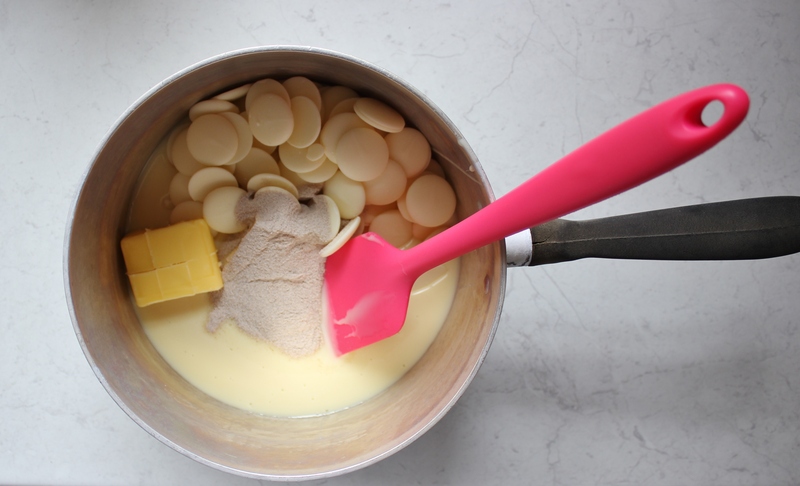 I never really sided with my friend until this recipe, when I actually contemplated white chocolate. White chocolate, I’ve realised, is not really chocolatey tasting at all – it’s smooth and sweet and that’s about it…not that there’s anything wrong with this! 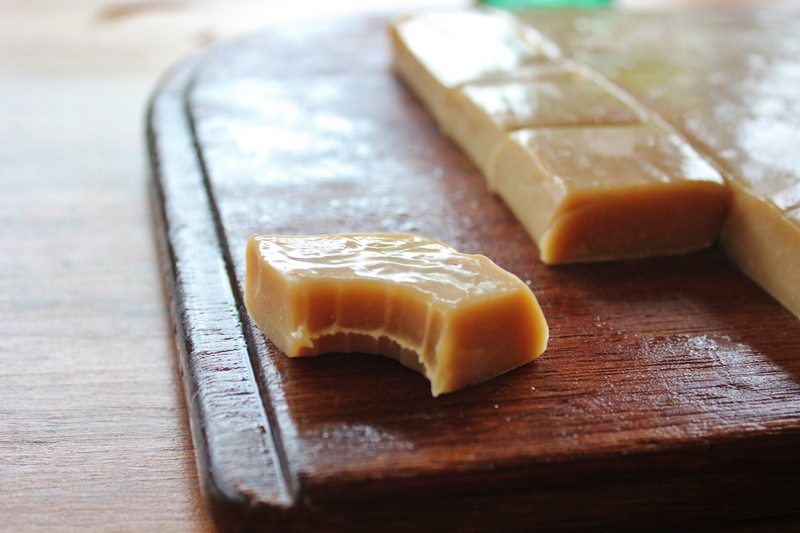 In being so indistinct, white chocolate lends itself perfectly to other flavours, it welcomes them openly – it works perfectly with the caramel of the sweetened condensed milk, and also complements the spicy, warm notes of the chai flavouring. While I’m talking about acceptance, I should also mention that I was given some Bondi Chai powder to experiment with, so you’ll be seeing lots of delicious chai recipes in the coming weeks, which perfectly suit Sydney weather at the moment. If you want to experiment with some of your own Bondi Chai, head to their website for free samples! Grease and line an 8 inch square baking tin. Throw all of your ingredients together in a large, heavy bottomed saucepan over a medium heat. Mix everything together until melted, ensuring that nothing burns on the bottom of the pan. Continue stirring and allow big, lazy bubbles to form and pop at the edges of the pan. If the mixture begins to boil all over, turn the heat down. Allow the big bubbles at the edge to keep forming and continue to stir for 2-3 minutes. Remove from the heat and pour into your prepared tin, smoothing out any lumps or bubbles with a silicone spoon if need be. 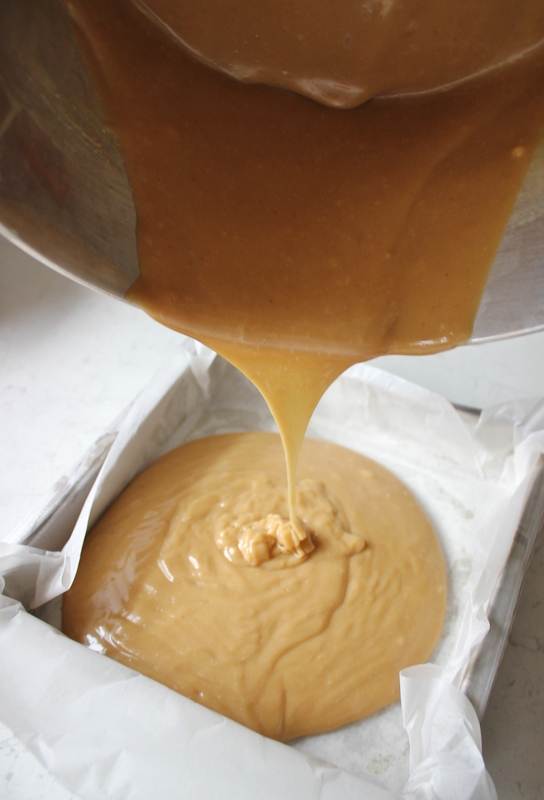 Be very careful of your tin, because it will have taken on a great deal of the heat of the caramel. Pop your fudge in the freezer for at least two hours. 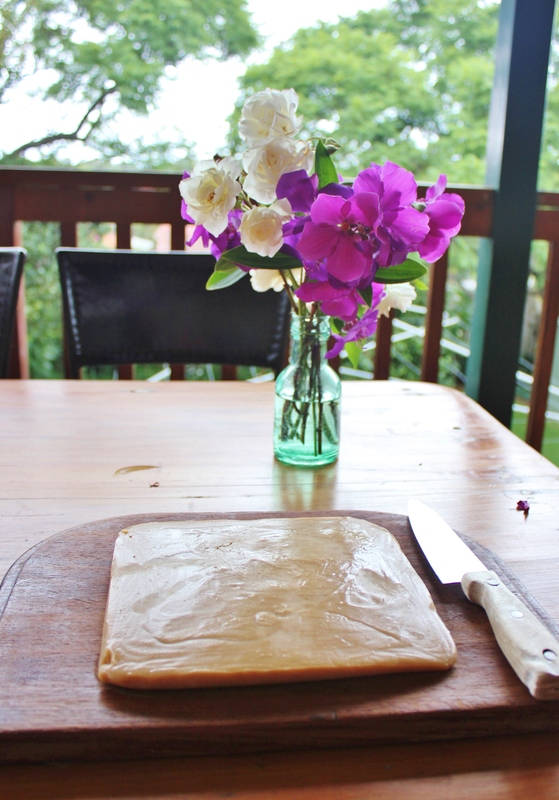 This fudge is so simple to throw together but oh-so-satisfying. It’s best served straight from the freezer and chopped into tiny bite-sized pieces. 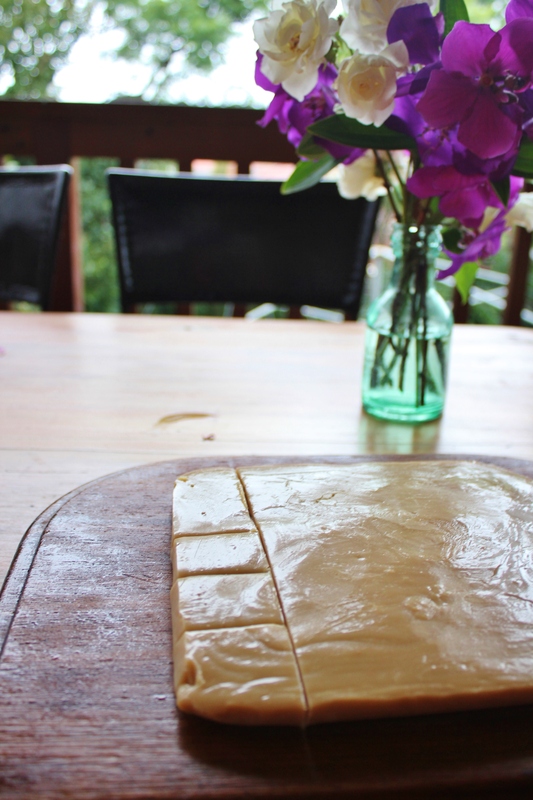 It’s a soft fudge, so be prepared to get your fingers a little bit sticky. Haha maybe I’m going to help in your conversion! I don’t usually give white chocolate a second thought (because it goes so well with many ingredients I love like raspberries, coconut, etc) … but it’s good to be reminded to think about your ingredients! I have to admit I never really was a fan of the white stuff until I made the caramelized white chocolate on food52. I really like your recipe and you are so right, white chocolate would lend itself perfectly to the addition of different flavors and I so like your chai addition. The fudge looks really decadent and wonderfully delicious! Yum, I just looked at the caramelised white chocolate! Looks delish. Thank you, I definitely have a soft spot for fudge! This looks totally divine! My husband is a HUGE fan of white chocolate…and I might just whip up a batch for his birthday! I don’t mind sticky fingers. 🙂 The fudge looks finger lickingly good!